The inclusion of the character of Nyssa Al Ghul created quite a buzz for the show because of what it portended. We’ve already seen this season how the League of Assassins plays an important role for the over-arching season continuity, what with Sara being a self-admitted member of that clique and her current problems with them that drew in Oliver as well right at the start of the season. A good part of Sara’s character development has focused on her relationship to the League, how it shaped her, and how it brought her to the point where she is now. And now, with Nyssa, things have stepped up immeasurably. But more than all that, this episode made a huge stride towards diversity, and it was all offered without titillation and with respect that it deserves. It turns out that Nyssa is the one who brought Sara into the League and that the two of them had a long, romantic relationship with each other, a relationship that Sara abandoned when she left the League. Also, we get at a significant romantic scene between the two women, and it blew me away because I had never expected the show to go in this direction. Two of the most badass women on the show being involved with the other? And as for the respect, it comes (significantly that is), when Sara and her father Quentin talk about it and all that he says is that he trusts her to make her own choices and that he just wants her to be happy, no matter who that happiness is with. How can you not love something like that? Kudos to the showrunners and the writers for going this route. It also turns out that Nyssa uses Sara’s family to bring her back to Starling and this in turn eventually leads to both her mother Dinah and her sister Laurel finding out that she is indeed alive. Their reaction is as varied as could be expected, and I loved how all the plot-points were woven in for a greater whole. We had all the flashbacks in the Lance household, and then the two facts that Dinah welcomes her younger daughter with open arms whereas Laurel is hostile and aggressive, blaming Sara for everything that went wrong with the Lance family six years ago and in the time since. As far as character drama, this episode is all about the character drama. Because one other major secret is finally revealed to Oliver, and it shatters his world and how he looks at his mother, going forward. I felt absolutely torn when Felicity made the decision to reveal this secret to him, because I knew how he would react to that information, and how it would kill him inside. And just when he had finally begun to reconnect with his mother, Moira. In a show like Arrow good things don’t really happen all that much and even when they do, they are still overshadowed by the negative. And that’s what happens here. With Moira now putting up her candidacy to run for Mayor of Starling, her plans now intersect dangerously by the secret plans put in motion by Slade Wilson and Sebastian Blood. And the stage is thus set for some epic confrontations in the next few episodes as the writers continue to expand on this particular subplot. It reminds me a bit of that arc from Smallville in which Jonathan Kent accepted the decision to run for governorship of Kansas and the secrets he wrestled with, secrets related to Clark and his abilities and his nature. Its all a bit tangential, but it is what it is, considering the roots of both shows. 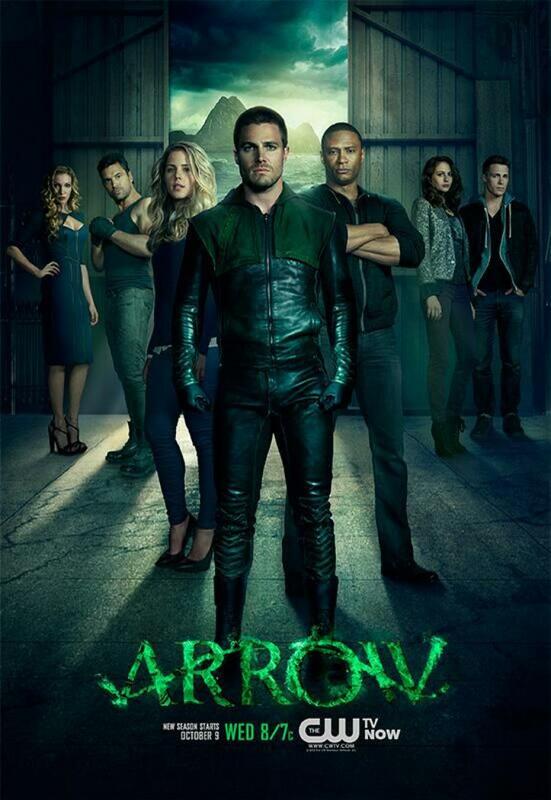 The acting in this episode, whether we talk Katrina Law or Caity Lotz or Stephen Amell or Emily Bett Rickards or Paul Blackthorne Susanna Thompson, was really excellent this time. Katrina Law brought a great subtle sense of seduction and obvious badassery to the show. Going with her as a character instead of Talia, the far more well-known daughter of Ra’s Al Ghul who also featured in The Dark Knight Rises (the movie), makes great sense as she is a character who is not weighed down by all the years of continuity that Talia is. Katrina Law performs the role handsomely, and her tender moments with Sara show some real chemistry between the two of them. Caity Lotz as Sara of the past and Sara of the present was also excellent given how different the two portrayals are. The make-up department should also be commended for that since she has a completely different look in “both” roles. Her subtle vulnerability is a strength for the character and Caity Lotz shows exactly that. Stephen Amell and Emily Bett Rickards show off their great chemistry once more in this episode when the big reveal about Moira is made to the former’s character by the latter’s character. Felicity as a character is one that I’ve really come to love over the course of the entire run so far, and I liked also that we got to see some of her backstory finally, giving Emily Bett Rickards more material to work with this time than just playing the beautiful looking female assistant who has a crush on her boss and is also his go-to tech support and sounding board. Paul Blackthorne and Susanna Thompson as Quentin Lance and Moira Queen don’t get to do all that much in this episode, but I loved what I saw here because these are characters who operate often on a smaller scale than the others but are no less integral to the overall story. And Susanna’s quiet ferocity was always at the fore this time. So that’s another mark for the episode and the show both. Bringing everything together was the episode’s almost perfect pacing. It has been an issue in some of the previous episodes, especially early on in the season, but now I think that the writers have finally hit their mark and their stride. They are comfortable with the characters now, and while the stories have always been tightly plotted, I think we are in a great place now, moving forward. Ultimately, it all comes down to the main story involving Nyssa. She is set up as a major villain, someone with a recurring status I hope, and despite how this episode ends, I want to see more of her down the line. As always, the show has a lot to get you to think about. Posted on February 8, 2014, in Arrow, Review Central, TV Show Reviews and tagged Amanda Waller, Arrow, Black Canary, Bronze Tiger, Caity Lotz, Canary, Colton Haynes, CW, David Ramsey, DC Comics, Deathstroke, Emily Bett Rickards, Explosives, Felicity Smoak, Green Arrow, John Diggle, Katie Cassidy, League of Assassins, Manu Bennett, Nyssa Al Ghul, Oliver Queen, Ra's Al Ghul, Red Arrow, Review Central, Roy Harper, Sara Lance, Slade Wilson, Speedy, Starling City, Stephen Amell, Suicide Squad, Superheroes, Supervillains, The Arrow, Tremors, TV Show, TV Show Review, Vigilante. Bookmark the permalink. Leave a comment.